MMeetings Africa 2018 will feature a number of interesting discussions and business talks focusing on enablers for business growth during BONDay on 26 February, how shared economies are affecting business events, and the impact of business events on infrastructure development in Africa. Click here for all the necessary information. These sessions are free to all our exhibitors. Three informative and interactive business sessions will be hosted during BONDay (our day for exhibitors to bond through networking and shared thinking) to ensure that exhibitors and buyers attending Meetings Africa 2018 are inspired to achieve their goals. Michael Khumalo, Head of CRM for Discovery, who will talk about CRM’s role in business and why it is vital. Raymong Ledwaba, CEO of ITTHYNK Smart Solutions, will delve into why rethinking and redefining business applications is vital for business growth. Meetings Africa 2018 will kick off on Tuesday 27 February following the official opening ceremony hosted by SA Tourism CEO, Sisa Ntshona, and the Minister of Tourism, Tokozile Xasa. Once the conference is open, the minister will walk the trade show floor to visit various exhibitor stands. We’re tremendously excited to announce that SABC’s Morning Live will broadcast live from Meetings Africa from 06:00 in the morning. Later in the day, the official welcome event kicks off and will include the presentation of prizes to our Green Stand Awards winners. Talk Radio 702’s Ray White of the Midday Report will also broadcast live from Meetings Africa on the 27th of February. Power FM’s Andile Khumalo will broadcast live from the venue between 18:00 and 19:00. How has the shared economy affected business events? The shared economy has been growing at an increasing pace throughout the world as peer-to-peer networks and collaborative business models continue to emerge. The shared economy, which is estimated to be worth $335 billion by 2025, fits African economies exceptionally well because many of the continent’s countries already have large informal economies where collaborative, peer-to-peer businesses thrive. This collaborative approach is gradually reshaping the business event industry, presenting new opportunities, and empowering more event planners by offering fresh solutions and perspectives. Recognising and celebrating tourism excellence, day two of Meetings Africa 2018 will focus on the announcement that entries for the Lilizela Tourism Awards 2018 open on 1 March. 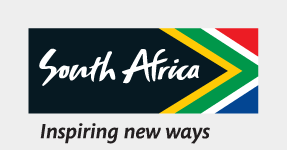 This is an initiative by the National Department of Tourism (NDT) spearheaded by South African Tourism, which encourage operators to strive for excellence and grow their global competitiveness in tourism by rewarding people who deliver excellence in tourism. The winners of the Lilizela Tourism Awards 2017 will talk to media about what winning the award has meant for their businesses. Without a doubt, Africa is starting to take its place at the forefront of the global exhibitions industry. South Africa’s exhibitions, conferences and events industry alone is fast becoming one of the country’s most important sectors to attract foreign visitors and investment. How can Africa make the most use of this platform with its relevant experience, expertise and infrastructure?